Three years ago this week, a small but well-coordinated group of terrorists laid siege to the city of Mumbai, India, eventually killing more than 160 people and injuring hundreds more. The latest installment of Frontline, “The Perfect Terrorist,” is a chilling portrait of David Coleman Headley, the American who plotted the bloody attack. The riveting report recounts the unlikely trajectory of Headley’s life. Born Daood Gilani in Washington, DC, Headley is the son of a Pakistani broadcaster and an American woman from a prosperous Philadelphia family. After his parents divorced, Headley stayed with his father in Pakistan, where he attended a military academy. At the age of 17, Headley moved to the United States to be with his mother, who by now was running a popular Philadelphia bar called the Khyper Pass, named after the route she used to escape from Pakistan. In his 20s, Headley got hooked on heroin and began smuggling drugs. After a few stints in jail on drug charges, Headley decided to become a DEA informant. He also started making regular trips to Pakistan, where he frequented a mosque associated with Lashkar-e-Taiba, a militant Islamist group. By this time, he’d already started living a double—or maybe even a triple—life: he had two wives, one in Pakistan and one on the Upper West Side of Manhattan, and was actively seeing other women on the side. After 9/11, the DEA asked Headley to begin spying on terrorists, and he agreed. What’s unclear is what reason government officials had for trusting Headley. Aside from his Pakistani background, there was little to recommend him. As one witness recalls to Frontline correspondent Sebastian Rotella, Headley was openly anti-American, casually suggesting to his girlfriend that the country had “gotten what we deserved” on September 11. A few months later, Headley began three years of training with Lashkar-e-Taiba in Pakistan. He was instructed by Sajid Mir, a notorious terrorist believed to be connected to the ISI, Pakistan’s profoundly sketchy intelligence agency, as well as Major Iqbal, a shadowy figure also associated with the ISI. Eventually, he began to spend months at a time in Mumbai, scouting out targets by day and partying with Bollywood stars by night. He even used a GPS device to plot out the exact routes his terrorist minions—most of whom had never been to Mumbai before—would take. 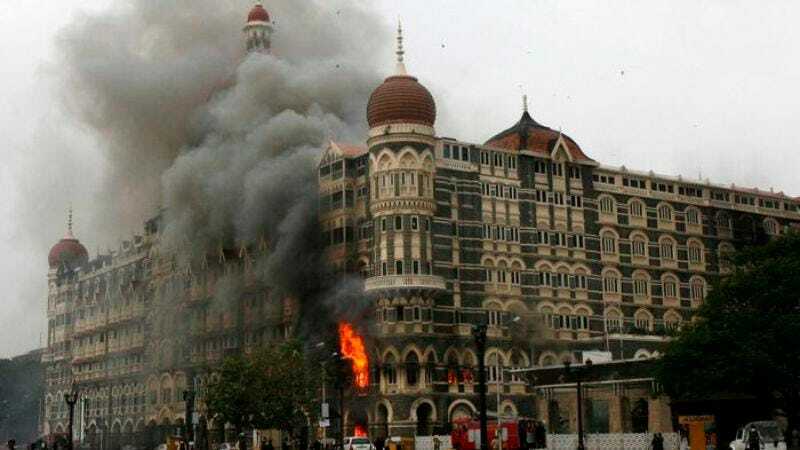 The Mumbai attacks were, by the standards of the modern terrorist, relatively low-tech, but “The Perfect Terrorist” shows just how meticulously planned they were—and how madly committed Headley was. By this time, Headley had also changed his name so that he could travel freely between India and Pakistan without provoking suspicion (it also helped that he looks like what the Pakistanis call a “gura,” an American or a Brit). It’s unclear whether he continued his work for the DEA throughout this lengthy planning period, but what is evident is that U.S. officials missed several opportunities to stop Headley from pursuing his bloody mission. Two of his wives (he eventually picked up a third) reported his terrorist activity, as did an associate of his mother’s back in Pennsylvania. While Headley’s story has been reported extensively, especially in India where he is nearly as infamous as Osama Bin Laden, the inaction of the FBI presents a new wrinkle in the story of the Mumbai terror attacks. Several sources in “The Perfect Terrorist” suspect that Headley may have been working as a double agent; otherwise, why would the U.S. have ignored multiple reports of terrorist plots? The U.S. has, of course, denied this possibility, but Rotella cites three anonymous counter-terrorist sources who insist there is more to Headley’s story. One of the minor flaws in this report is that it never suggests what that “more” might entail: Were U.S. authorities using Headley to get information on ISI? But whether or not Headley was a double agent, he is a fascinating, terrifying figure—a “perfect terrorist” in more ways than one. Over the course of the hour, a portrait emerges of a cold-blooded killer motivated less by religious or political fundamentalism than by a desire to create mayhem and misery. It’s as if Headley does unspeakable things because he can, not because he believes he should, that he gets some kind of thrill out of duplicity. Even his eyes are different colors (one deep brown, one ice blue), which is the kind of detail that would seem unbelievably contrived if Headley were a fictional character. Sadly, he is not. Headley’s tumultuous, multicultural background perhaps sheds some light on his terrorist pursuits, but, to its credit, “The Perfect Terrorist” doesn’t do much psychologizing. (We’ll leave it to the inevitable movie about Headley to do that.) The uncertainty of Headley’s motives makes him all the more troubling.